Indigenous organisations have called for effective community consultation as the federal government launches a new inquiry into alcohol consumption in Indigenous communities. The parliamentary inquiry was initially intended to look at alcohol-related violence across the country but has now been narrowed to deal specifically with Indigenous communities. Some Indigenous health groups are hopeful the inquiry could lead to more effective strategies to tackle alcohol abuse, providing Indigenous communities are properly engaged as part of the process. The inquiry is to be conducted by the House of Representatives Standing Committee on Indigenous Affairs, chaired by Liberal MP Sharman Stone. It will look at the patterns of supply and demand for alcohol in Indigenous communities and the incidence of alcohol-fuelled violence. The inquiry will also examine how alcohol impacts upon unborn and newborn babies and what approaches have worked in other countries to combat alcohol abuse. The Federal Indigenous Affairs Minister, Senator Nigel Scullion, has told NITV the government is not trying to single out Indigenous Australians as the only group that has problems with alcohol. Senator Scullion says the inquiry will also look at how socio-economic background could be linked to alcohol abuse. The opposition Labor Party in the Northern Territory is critical of the inquiry, saying it’s “insulting” towards Indigenous Australians. However, some Indigenous organisations believe it could be a step in the right direction towards tackling alcohol abuse. Dr John Boffa is the medical officer with the Central Australian Aboriginal Congress and has worked in the Indigenous health field for over 20 years. He has told NITV he believes an investigation into Indigenous alcohol abuse is long overdue. 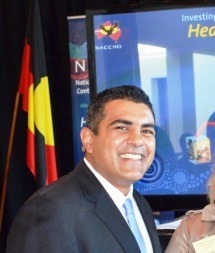 That’s a view shared by the chairman of the National Aboriginal Community Controlled Health Organisation Justin Mohamed. Mr Mohamed believes the inquiry is a good opportunity to examine what policy approaches have worked or haven’t worked at combating alcohol abuse in Indigenous communities. 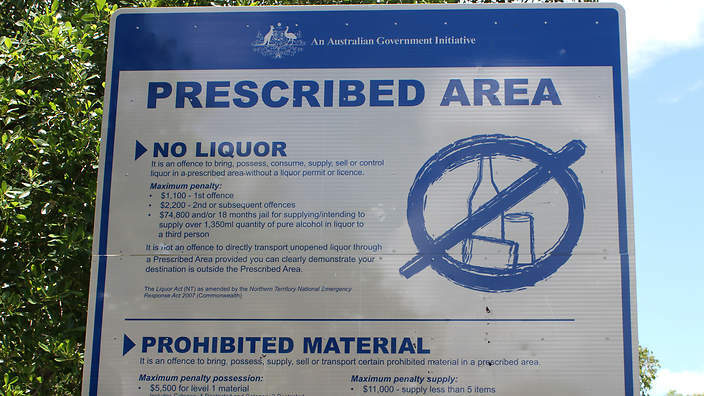 Alcohol restrictions have been in place in remote Indigenous communities in the Northern Territory, parts of the Kimberley region in Western Australia and in Cape York in Queensland for a number of years. However Mr Mohamed believes it is critical to ensure that any scrutiny around these policies is underpinned by consultation and engagement with the Indigenous communities themselves. Mr Mohamed says while previous government inquiries have looked at social problems like domestic violence in Indigenous communities, it is the first time an inquiry has focused specifically on alcohol abuse. He says it is pleasing to see that the inquiry will look at what strategies have worked in Indigenous communities in other countries, saying Australia could learn a lot from that. The inquiry has called for public submissions to be made by April 17. NACCHO Chairperson is right ,this enquiry must include total engagement with Aboriginal Communities on the ground, plus whoever the Goverment engage for this enquiry make sure its someone who knows what there doing. I have mixed feelings over this. Whilst positivity can come from anything that seeks inquiry over alcohol abuse, I see a negative impact on the imagery of Indigenous people. They are saying it’s not ‘racially targeted’ but also saying that they are looking into how socio-economics have a role..
Whilst specifically targeting Indigenous communities in the inquiry, are we suggesting that all first people are poor or come from a lack of education, pride, or even remotely saying that this is a large problem within communities where Indigenous numbers are higher than others? I feel it’s a little on the contrary to say “no, we are not singling out”, but whispering that we are… I have lived in area such as Coffs Harbour where large Indigenous communities reside and alcohol restriction areas exist, yet I saw more European people being the issue with alcohol than anything. But I have yet to first hand experience these environments in areas within the remote, just going by a small personal experience. I think Australia as a WHOLE needs a shake up on the impact that alcohol plays on our health, lifestyles, and domestic violence. Statistics may say one thing but it still remains an existence as a whole. If we want to work on anything remotely singling out Indigenous communities specifically the government also needs to invest more within our grassroots. Education, and not just on an academic level but also on all; lifestyle, culture, and a continuously zero tolerance to any poor or potentially dementing behaviour.. Greater opportunity to thrive, more aid in areas other than trying to quick fix an already large problem, and same goes for issues such as criminal, health, and just about anything that still remains a large ‘gap’.
. Also as Nina said, a focus on those areas too. This can only work though if communities are willing to be involved and participate. But I’m sure other than stating the obvious to say it’s offensive, it’s also positive. Surely room for improvement anywhere, Indigenous, Asian, Greek, English, Maori, Scottish.. Whatever. Working on wiping out alcohol related issues anywhere with anyone can always turn positive. Alcohol can be a devastating thing. Too many lives lost because of it’s abuse. I am just really sick of seeing how there is such a large gap between Indigenous and Non-Indigenous in ANY way. We should be far more evolved than this by now that we are still needing to ‘single out’ in these types of investigations. It is to hang with shame that the government is needing to do so.